Effingham, IL, May 29, 2018 –(PR.com)– Made even more decadent & delicious with sweet malt flavor (a southern waffle-recipe secret ingredient), it’s a family favorite and the perfect pairing for Chicken n’ Waffles. 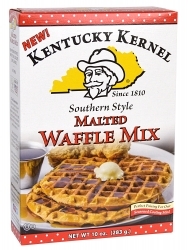 Kentucky Kernel has announced the introduction of the new Southern-Style Malted Waffle Mix – featuring its own deliciously crispy and slightly sweet "secret southern waffle recipe." Malted waffles have long been a tradition in local diners and soul food restaurants, and now fans of Kentucky Kernel’s popular line of mixes can enjoy this special version of this breakfast favorite right at home, made with premium flour and real malted milk. Enjoy these deliciously sweet and decadent waffles with fruit, jams, maple syrup, or any of your favorite toppings. And of course, Kentucky Kernel's southern-style waffle mix is the perfect choice to pair with spicy fried chicken for the beloved treat "Chicken n’ Waffles" – especially when cooked up with our own traditional Kentucky Kernel Seasoned Flour, a favorite of southern cooks for decades. Kentucky Kernel's new Malted Waffle Mix is made without artificial preservatives and only genuine ingredients including premium flour, sugar, leavening and real malted milk powder – no artificial colors or flavors. The mix comes in 10 oz. (about 4 standard waffles) sealed-pouch packages to preserve maximum freshness and flavor. It is certified OU Kosher D, peanut and tree nut free, and contains no egg or soy. The new product is now available for purchase from their online store and will soon be available through select retailers. Food service sizes will also be available soon. Visit www.KentuckyKernel.com or call (800) 347-0105 for more information, free recipes and the latest news from Kentucky Kernel. Kentucky Kernel is a privately held subsidiary of the popular natural foods company Hodgson Mill. The Hodgson Mill product family includes Stone Ground Flours and Corn Meal, Bread and Baking Mixes, Hot Cereals, Pastas, Gluten-Free products, Sides, and much more. Since 1882, Hodgson Mill has applied the ‘premium quality, nothing added, nothing taken away’ philosophy to all its deliciously traditional foods. 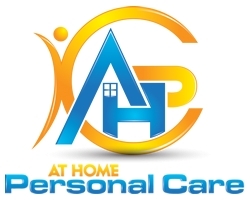 For more information visit www.HodgsonMill.com.